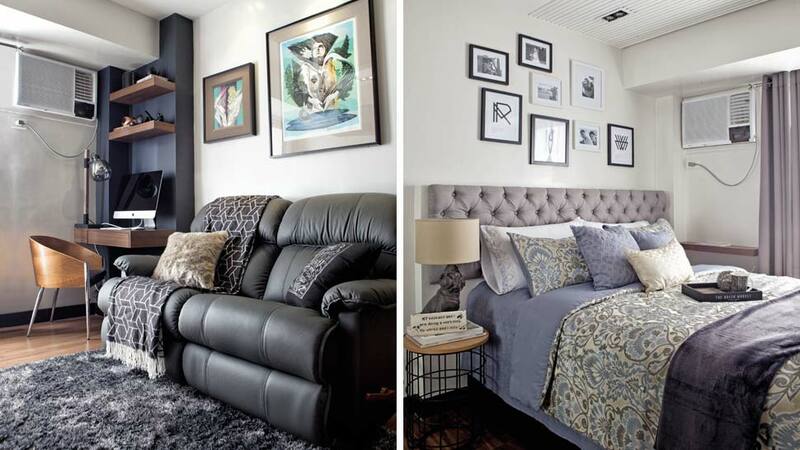 A compact space should not be seen as a design limitation, and this couple’s 36sqm unit is stylish proof of that. Initially, the couple was inclined to replicate their condo’s model unit until they stumbled upon countless Pinterest boards that featured Scandinavian designs and pieces. Scrolling through the wide range of visual styles and interiors in the app makes looking for visual inspiration so easy and enjoyable, and for most, it creates a “good” problem for any homeowner—deciding on the final look and feel of the interiors. It’s also important to note that both of them are from the aviation industry, with the privilege of traveling around the world. The couple have seen many places and experienced different cultures—yet another wealth of inspiration they can tap into. Interior stylist and contractor Jonathan Salialam of Styled Spaces came into the picture to curate and turn all the couple’s influences into reality. All their Pinterest pins and ideas were considered, as well as specific requests like the La-Z-boy loveseat, “a nice bed,” and a coffeemaker, leaving the rest up to Jonathan. Even with an interior designer, the owners were very involved in the project, making it a point to visit the unit almost every day, and even accompanying Jonathan when sourcing items. The positive response of the homeowners upon seeing their dwelling ties back to Jonathan’s belief that spaces should be “celebratory of who you are and what makes you happy”—exactly what this home evokes. Read the original article ("Cozy Scandi") in the November 2016 issue of Real Living Magazine. Download your digital copy of Real Living on the Real Living App. Log on to summitnewsstand.com.ph/real-living for more details.